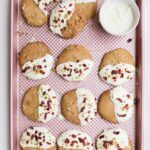 Recipe for Pistachio Quinoa Flour Cookies, a gluten free soft cookie dipped in white chocolate. Sprinkle some chopped dried cranberries and a little pistachios on the chocolate to jazz up your flavor. Store in the fridge for a week of freshness or wrap individually in air tight plastic wrap for 2 months. 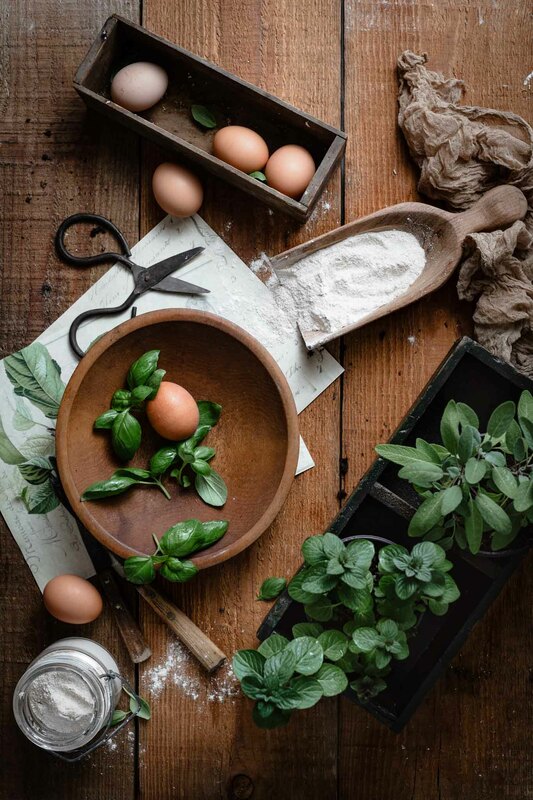 Do you ever open your pantry door and just stare at all the ingredients wondering what to make?! Well, sometimes I find myself pondering on what to do with that half bag of chocolate or almost empty container of nuts. Instead of waiting around to use them for one recipe I decided to combine them all for a cookie topping. 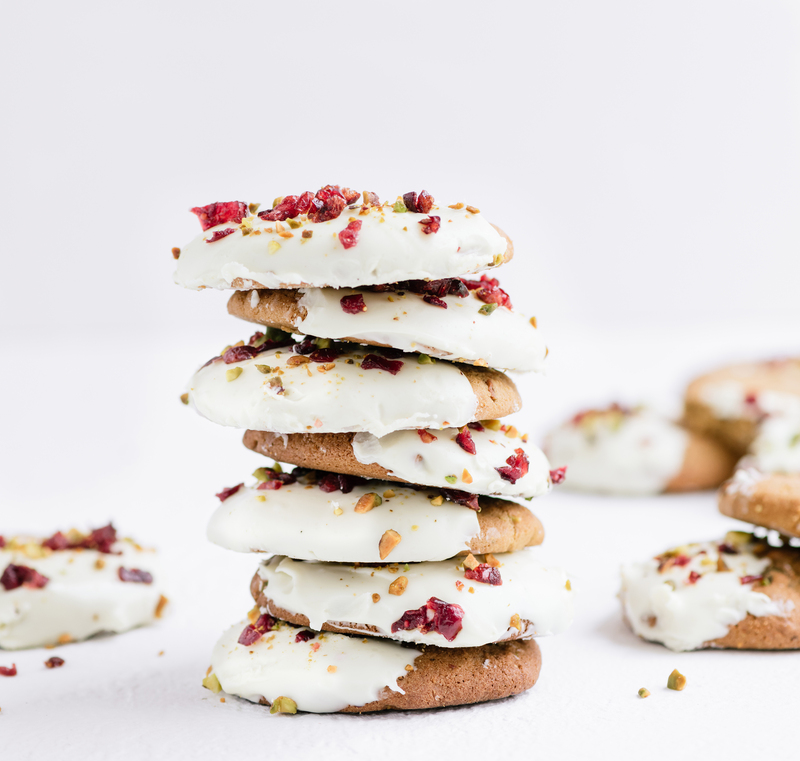 White chocolate pairs well with pistachio and the cranberry pieces help lighten the overall richness. Combining Quinoa and Coconut Flours with coconut sugar creates a sweet and nutty character. Although they are not overly sweet, its just enough to satisfy your craving. Especially if you love soft cookies that are perfect for dipping in milk. I mean any cookie is fine by me, but I’ve never been fond of the super crunchy ones. Let cookies cool before adding topping. Play around with your white chocolate..dunk it, smear it, drizzle it, anyway you choose! Mix cranberries into the batter and top with pistachios instead. Keep cookies in cool dry place to help chocolate set. Made from naturally sweet ground coconut meat. Should be used in a combination of other flours. 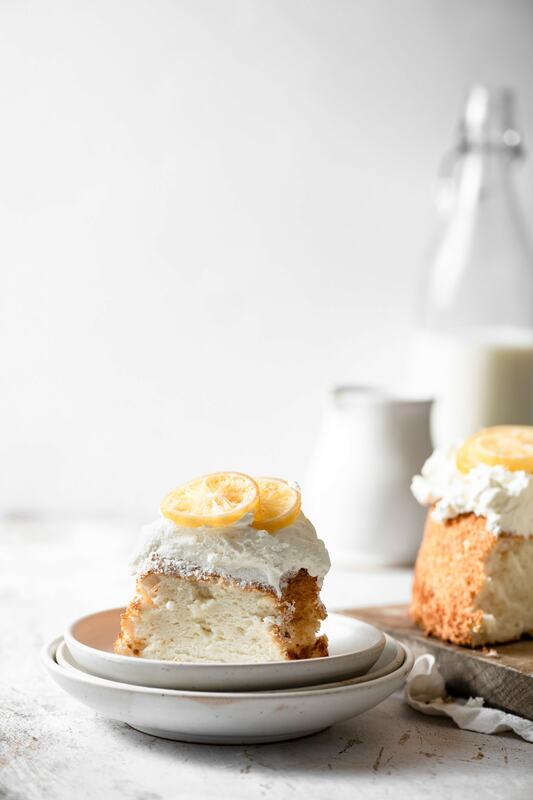 Usually need to add additional liquids such as eggs, almond milk, or coconut oil to keep from having a dry batter consistency. Produced from the sap of the flower bud stem of the coconut palm tree. Lower glycemic index than regular sugar. Less sweet and has a molasses flavor. Good for digestion, helps restore beneficial bacteria. Can be used to substitute 1 to 1 for regular sugar in most recipes. Pour quinoa flour into a medium skillet and roast on low heat. Stir for 10-15 minutes taste flour to check bitterness. Then place quinoa flour in a medium size bowl to cool. Whisk coconut flour, salt, and baking soda into quinoa flour and set aside. In bowl of stand mixer combine coconut sugar, vanilla, maple syrup, egg and egg yolk. Using whisk attachment on medium blend until smooth. Switch to paddle attachment and add flour mixture to egg mixture. Mix until reach cookie dough consistency. Fold in 1/2 cup chopped pistachios. Spoon out 1.5 tbsp of cookie dough and roll into 2 inch ball with hands. Place ball onto a lined cookie sheet and shape into a flatter round shape. Repeat with remaining dough placing cookies 2 inches apart. Bake at 350 F for 12-15 min or until lightly browning on edges. Cookies are a soft consistency, not crisp. Also, the coconut sugar and maple syrup will give cookies a darker coloring, so make sure not to burn. Cool for 10 minutes before dipping in chocolate. Pour white chocolate morsels into microwavable safe bowl. Chocolate should be melted but not boiling. If there are morsels that haven't melted keep stirring and should all turn into a chocolate dip texture. Dip each cookie halfway into melted white chocolate and place onto serving tray. 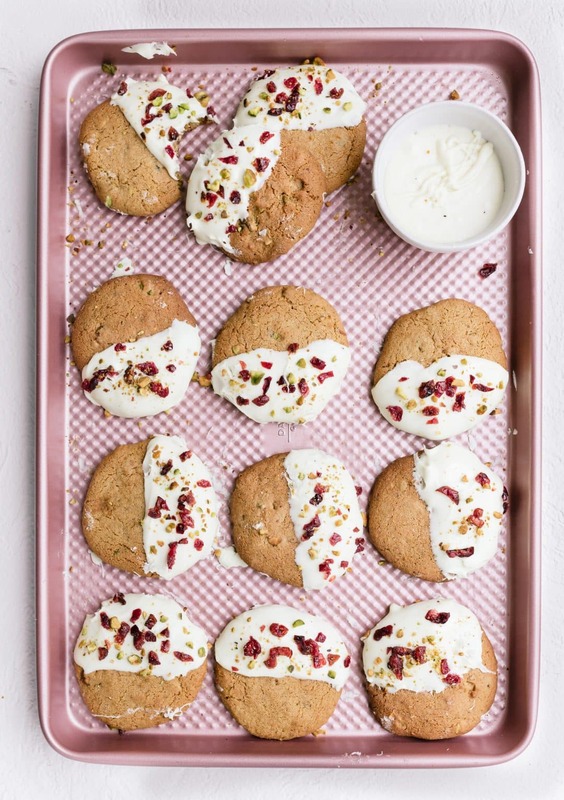 Sprinkle chopped pistachios and cranberries onto white chocolate. Serve cookies immediately or allow chocolate to firm in fridge. Store cookies in the fridge to prevent chocolate melting in a warm kitchen.